Rock for Rights will bring a diverse line-up to the Rose Theater at Lincoln Center. 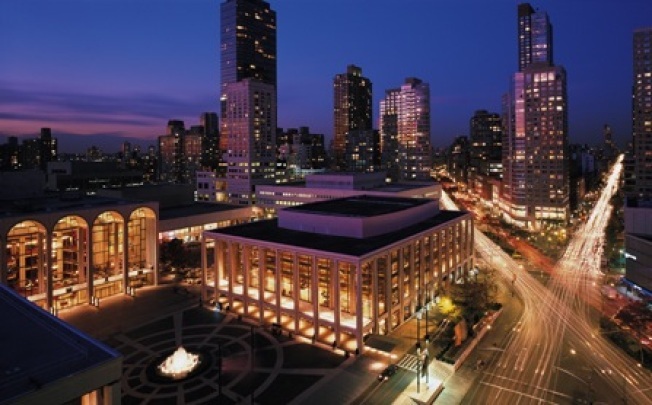 New York is a diverse place — with venues like Lincoln Center long providing the forums to showcase that cultural breadth. The acts assembled for the Rock for Rights benefit concert, taking the stage at Lincoln Center on Sunday January 18, cut a wide swath through South East Asian music and culture, pulling sounds from Bollywood to Babylon. Performers hailing from or drawing influence from South Asia and its diaspora will bring everything to the stage from Sufi music and electronica to good old Brooklyn indie rock to the sort of jazz that ought to be right at home in the stately Rose Theater, the home of Jazz at Lincoln Center. Among those playing the show are global pop star Sona; Shilpa Ray and Her Happy Hookers; percussionist-DJ Dave Sharma, who has played on Broadway in Andrew Lloyd Webber's "Bombay Dreams"; Sufi singer Zila Khan; Fahad Ahmad, who's rising up the MTV Pakistan charts and NY-based Bamboo Shoots, winner of the 2007 mtvU Campus Awards for Best New Band. The (understatement alert) eclectic line-up was brought together by Engendered, an annual festival delving into the complex realities of gender and sexuality in modern South Asia through art and fighting for human rights everywhere. The goals of the group, and by extension those of the performers gathering that evening, are nearly as diverse as the acts playing. The aim of the show, says Myna Mukherjee, director of Engendered, is to explore "what role art can play in strengthening an inclusive politics that imagines equal tomorrows at a time when the world is at a crossroads, with new struggles against divisions, violence, and exclusions." Tickets to the show are available from Jazz at Lincoln Center and special after-party-only tickets are available here.